Detective James Alexander Thomas graduated from McKinley High School in Buffalo, New York in 1983. After High School, he joined the United States Air Force where he began his long career of serving his nation, and society, as a law enforcement professional. Detective Thomas enlisted in the U.S. Air Force as a Law Enforcement Specialist. 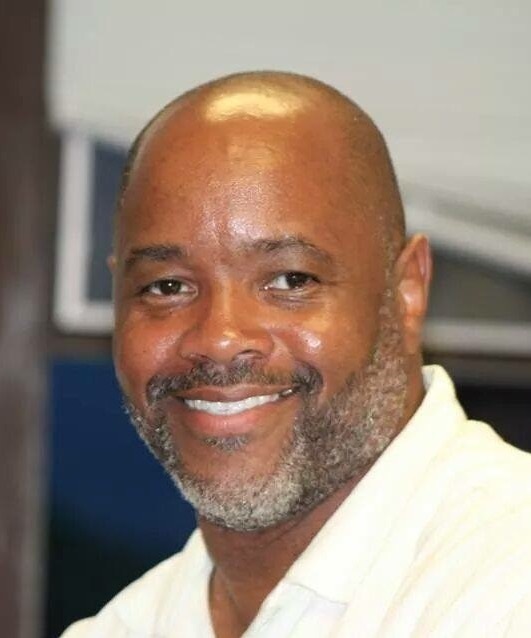 He has served the Lawrence Police Department in Massachusetts prior to joining the Virginia Beach Police Department where he served in the Patrol Division of the Virginia Beach Police Department until 1994 when he was selected to become a Narcotics Detective. Detective Thomas was assigned to the Vice and Narcotics Section of the Virginia Beach Police Department Special Investigations Unit. Detective Thomas’ duties in this assignment have been to investigate federal and state narcotics violations and make arrests of individuals found in violation of these statutes. These investigations involve complex conspiracies dealing with multi-jurisdictional violators who utilize various techniques in transporting/smuggling, money laundering, and distribution to elude law enforcement detection. Some of these techniques include smuggling by interstate roadways through the use of conveyances and couriers, airdrops, commercial airline smuggling, sea and inter-coastal waterway and overseas and domestic points of origin. In 2000, Detective Thomas was assigned as a Federal Task Force Officer (TFO) to the Drug Enforcement Administration’s Norfolk Resident Office, High Intensity Drug Area (HIDTA) Task Force. TFO Thomas has been involved in over 500 drug trafficking investigations ranging from street level “local impact” cases to large multi-jurisdictional cases that have been pursued to foreign countries. Although TFO Thomas has been involved in the arrest and prosecution of hundreds of defendants in his 23 years of investigating narcotics violations, he considers positively guiding and informing today's at-risk youth as a youth motivational speaker to be his number one mission. He is one of the most sought after Red Ribbon Week Speakers.